Best of Houzz 13,14,15,16,17,18. No other home builder in the area has received more local, regional or national press than Josh Wynne Construction. With features in over 50 magazines, and hundreds of industry awards, JWC is your clear choice for custom home construction in our area. Josh Wynne Construction was established by Josh and Michelle Wynne in 1998 as a carpentry contracting company and has evolved into a fully custom, boutique building company. The company is committed to providing unique, sustainable homes of the highest quality. Josh is a native of Sarasota, and is intimately familiar with our local environment. Josh Wynne Construction specializes in creating homes that maximize livability in our unique climate. Josh Wynne Construction has been pioneering methods and techniques used for third party certification. Third party certification provides you proof that your high performance home with actually do what we say it will. Our homes are built to one of the toughest sustainable programs in the nation. We have the team in place to get your project to Platinum level certification and have been recognized as one of the top LEED builders in the nation. Please look at our awards section to see how we have been LEEDing the way in the sustainable building community. BEST of HOUZZ: RANKED #1 IN SARASOTA. Custom Home Builder - Luxury Condo and Home Remodeling. Earning 5 STAR REVIEWS from our clients, your neighbors, for over 12 years and for 2 years as a Certified Luxury Builder. Founded in 2005, Westin Hills, Corp. builds custom homes and remodels luxury homes and condos in Sarasota, Longboat Key, and Lakewood Ranch and is honored to be ranked #1 in Sarasota on Houzz.com. There are 3 reasons why. 1-Process 2-Team 3-Execution Our Process: Westin Hills understands that you want your own special place that reflects your style and taste. Our process allows you to describe what you want, the design team draws it, you approve it, and we build it. Our Team: Westin Hills assembles a team for each project, based on trust, in collaboration with architects and interior designers. We use top sub-contractors and suppliers for each project to guarantee the highest quality building standards and a 5-Star client experience. Execution: Our clients expect the best and refuse to take unknown risks to cut costs. Close attention is paid to the requirements of time, budget, design, and craftsmanship. Years of experience have increased expertise and capacity to integrate state of the art systems, value engineering, as well as practical solutions to unique and common design challenges. Your first step is to schedule a complimentary idea session to discuss your project. Free estimates are always included. Westin Hills invites you to join our exclusive client community by calling 941-244-5823 or contact us via email at jeremy@westinhillscorp.com. We are DSDG Architects - An architecture firm for clients that deserve award-winning architecture, using simple, clean and elegant concepts that keep clients coming back again and again. Delivering jobs on time and on budget, recipient of numerous coveted awards for excellence, principal architect Mark Sultana, AIA, NCARB ensures each project is a success by listening first, offering solutions and through careful cost control providing the best quality in architecture. Mark Sultana is a master in the field of architecture, serving the community for many years. In business for over a decade, DSDG, LLC. founded in 2001, works hard to earn client satisfaction. Offering a team of dedicated highly skilled professionals with technical knowledge unsurpassed. Mark Sultana, a graduate of the New York Institute of Technology, is committed to transforming ideas to reality seamlessly. Experienced in all aspects of building, DSDG, LLC. is a full service firm providing comprehensive documentation from plans to permits. Based in Sarasota, Florida, Mark Sultana lives and works in buildings he has created and is proud to serve and enhance community through good design that understands and respects your wishes. Naples & Bonita Client-Focused Interior Design | 3x Best of Houzz! A full service contractor specializing in the construction of new custom waterfront homes on the keys and estates of Sarasota. We also cater for extensive remodeling, landscaping and design, historic remodeling and design and management services. Our sister company, Murray Realty, specializes in waterfront acquisition and sales and quality real estate transactions. Specialists in international and out of state clients. We are also authorized builders at The Lake Club, Lakewood Ranch and have a collection of coastal and West-Indies designs ready to fit on your lot. 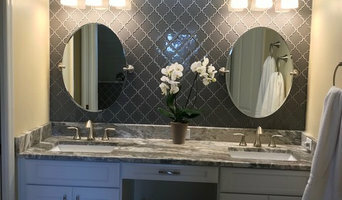 Lee County Interior Design Firm | 2X Best of Houzz! A & D Cabinets, Inc.